The Regional Academies are the first step on the talent pathway for under-16 players who have been recommended by their clubs, counties and schools. In the South West the squads, coached by Matt Durber and Liz Roberts, number 34 players. Training takes place monthly at Wellington School in Taunton or Strode College in Street. The dedication of the players and coaches to the sport is shown by the fact that many make a four-hour round trip for four-hour training sessions. A typical training day will start with a two-hour practical session, beginning with strength and conditioning work, followed by tactical and technical drills. Whilst the players lunch is going down attention turns to theory and the psychology of sport. This area looks at developing all round players and examines coping strategies for competition, as well as advice on nutrition and lifestyle management. Maintaining a healthy balance of work and play is a huge challenge for the players as they cope with the pressure of GCSEs and their handball commitments. Equipping them with the skills to successfully balance everything they wish to do, is fundamental to ensuring they stay playing the game and, most importantly, enjoying it. Training finishes with match play, where all the training is put into action. Squad members also get to practice their refereeing. 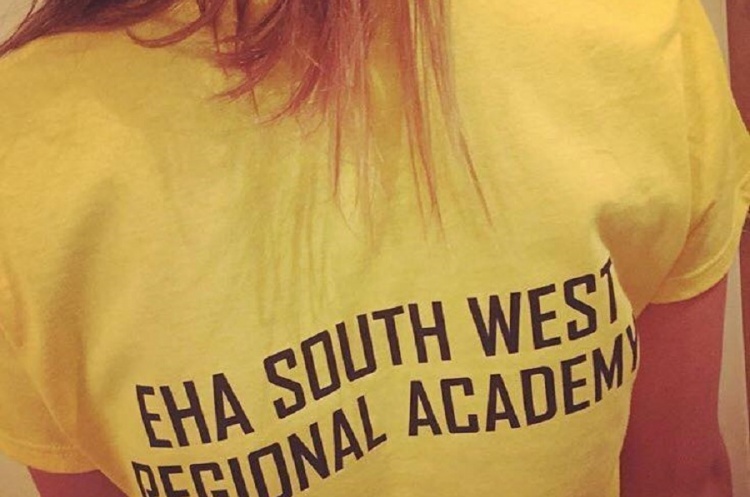 The Regional Competitions start in February and the South West players can’t wait to take all their training and put it into competition on the court.